Hey crafty friends! Welcome back to another page reveal for Southern Girls Challenge. Team Lou was challenged to add some stamping to their project. I pulled out some old items in my stash and created a wedding hairdo scrapbook layout for my sister’s wedding. 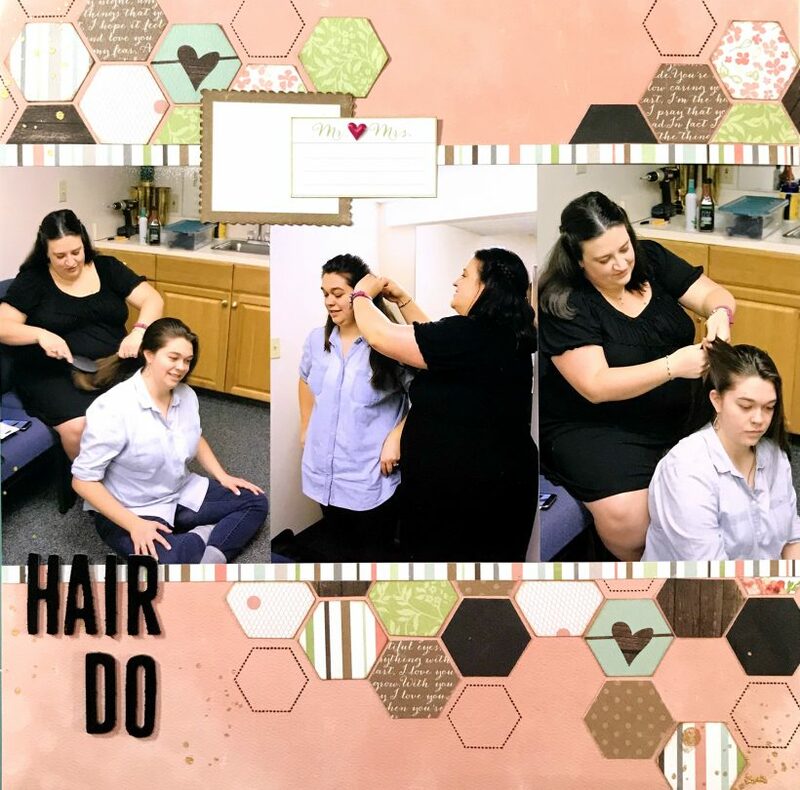 My sister was married the day after Christmas, one month after getting engaged and while I was six months pregnant…fun times 🙂 I had never done hair before, but she wanted something simple and wanted to look like herself so I just did a simple around the head braid. These photos were taken while I was doing that…without even a practice run. The paper that I used for this is Carta Bella’s rustic elegance. It’s a wedding paper, but isn’t all I do and black and white. It has soft colors and hearts and flowers…perfect for letting the photos shine. To meet the stamping requirement I used an old Stampin’ Up hexagon set that had a matching punch. The set had patterned hexagons and one with just an outline. I used use the outline so that the stamping didn’t compete with the punched paper. I feel the patterned stamps would have overwhelmed the soft feel of the paper. 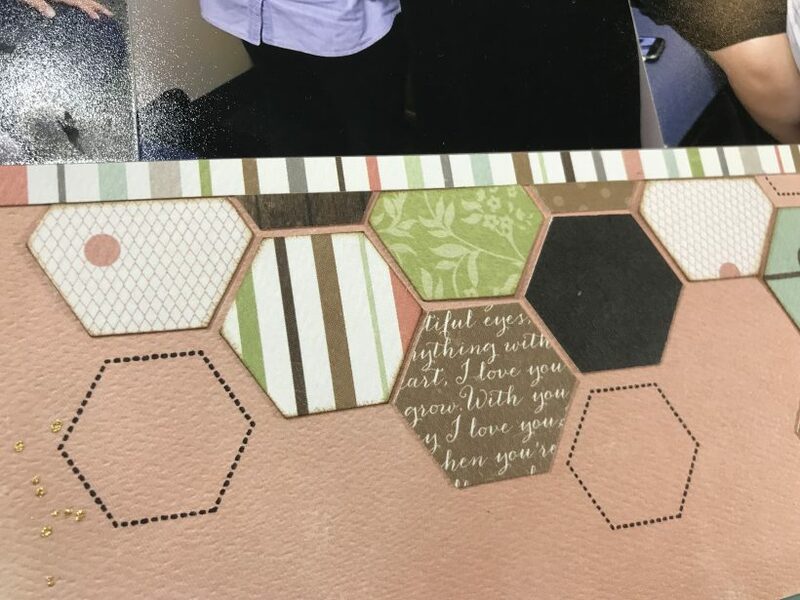 Since there were three photos on the page, and the hexagons themselves were visually very busy, I left everything else very simple. A simple black title and two small journalling squares were my only embellishments. The only other thing I added was some gold ink splatters as it is a wedding after all. I hope you have enjoyed this layout share, and I hope you’ll come over and join the challenge as well. Don’t forget that if you do leave me a comment with your link so I can be sure to pop over and check your creation out. Until next time…stay crafty! Thank you Wendy – she did look wonderful.